In our last column, we wrote about how our investors, those institutions and individuals that provide the financial support our organizations need, are not investing merely in the provision of services, but rather in change. But what sort of “change” are they looking for; what sort of “change” should we be aiming to bring about? It is obvious that what our investors are looking for, what they hope we will accomplish, is a positive alteration in the situation our organizations exist to address. Sometimes this means that our work results in an improvement, something being there that was not there before. Sometimes it means turning back or mitigating a threat to a tenuous situation or not letting previous accomplishments be undone or lost. The first is that the changes we seek to bring about should be both meaningful and sustainable. By meaningful, we mean that they are not just cosmetic in nature, that they represent a fundamental alteration in either the overall situation, or the situation as experienced by those we exist to serve. By sustainable we mean that these changes will outlast our involvement or intervention by some reasonable period of time. Yes, this is something of a tall order…but isn’t that why we do what we do, to have a meaningful and lasting impact? But beyond this, many organizations struggle with how to frame or articulate the changes they are hoping to bring about. For this, utilizing a concept known as the BACKS Measures can often be helpful. The BACKS framework suggests that our organizations are seeking to bring about meaningful, sustainable change in the Behavior, Attitude, Condition, Knowledge or Status of those they exist to serve. The beauty of this idea is that it is applicable to just about every cause area in which our organizations are involved. “Trees,” the director of an environmental group might say, “don’t have ‘behavior.’” This is true…but woodlands and watersheds do have condition, they can be healthy or damaged, and they can have status, being either protected or exploited and threatened. An arts group might work to increase the awareness, the knowledge, of young people about art. Another program, meanwhile, might seek to change both the attitude and behavior of teenagers regarding the misuse of alcohol. The concept has many applications. Our task is to not only improve the situations we face, but to do so in a way that our investors can understand and appreciate, and that will truly benefit those we serve. The challenge is how to accomplish this. Beginning with the notion of change is a good first step. Adding the concepts of meaningful and sustainable will only make our programs stronger. Thinking of the BACKS Measures will help us better define and articulate our goals. 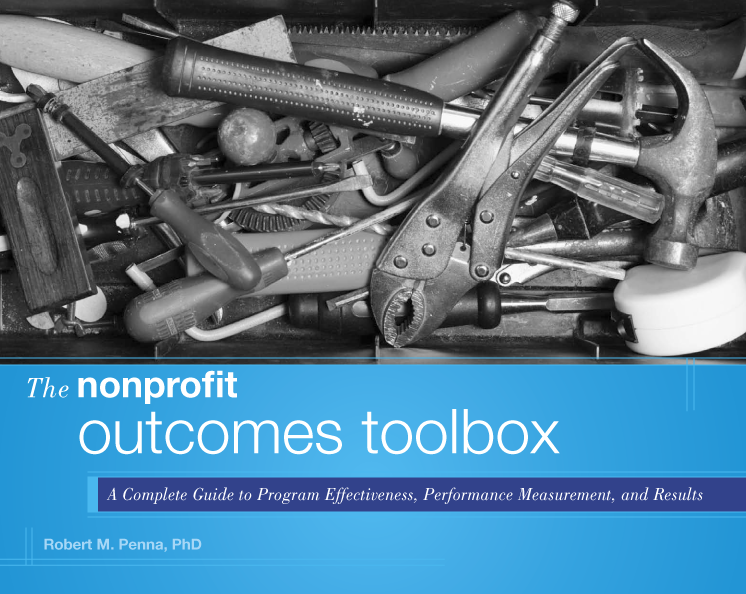 All of these tools will help move us farther down the road toward applying a results-based, outcomes approach to our work.